GallowayTwpNews.com has obtained from the Galloway Township Clerk's Office the March 2013 Event Calendar for the Senior Center. 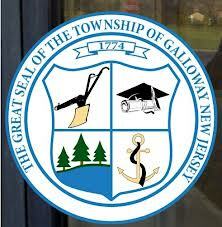 The Senior Center is located at 621 W. White Horse Pike, Galloway. Call (609) 568-5073 for more information. Senior Center is Open Monday and Fridays from 9:00 - 4:00 p.m.
Calendar and Activity Description is located below.